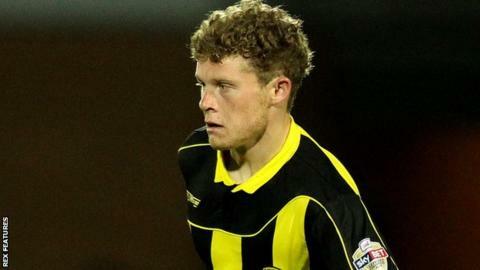 Oldham Athletic have extended the loan of midfielder Matt Palmer from Burton Albion until the end of the season. Palmer, 22, has made seven appearances for the Latics since joining the club on a youth loan in January. "Matty is a good player and supporters have already seen the impact he has had on the side," boss John Sheridan told the club website. "He has still got a few things to learn but we're happy that he is going to be with for the rest of the season."